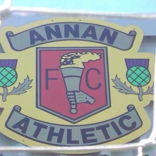 Its off to Galabank this Saturday to face an Annan side 12 points in front of us heading for the playoffs. Normally a good away day out at the Shed before the match, then usually not so good result at the football. Can we surprise ourselves and get all 3 points this time, don't think so and I would be happy with a share of the points on Saturday. Team wise for the Binos hope to get back from injury the likes of Dylan Mackin, Danny Jardine, Ross McGeachie to help strengthen the team. We're as good as in the Play offs but professional as he is Peter Murphy will make sure we get the job done on Saturday. Working with a small squad, recently he has been giving all the players a run out keeping competition keen. Also a chance to get one over his ex. assistant KR. Team news Danny Jardine and Ross McGeachie are back in the squad to face Annan. However the bad news likely to miss this game Peter MacDonald, Dylan Mackin, Max Wright, Neil MacLaughlin and Jason Marr. Just hope for the best tomorrow, that the team rises to the occasion. Occasion - Annan clinching play offs and sending Binos home to think again ! Didn't expect anything from this game but after going 2-0 up in the second half felt we were heading for a win today but all credit to Annan for not giving up and getting the equaliser in the 95th minute. Still its a point more than I expected but it could have been all 3 today. Good luck to Annan in the playoffs, you never know you might be playing in League 1 next season. Strange end to the game after Annan equalised the ref did not restart the game ? I think the ref had already done all he could for Stirling today! Maybe if they hadn’t time wasted to much for the whole game there wouldn’t have been so much time added on and we may not have equalised. Credit to Kevin Rutkiewicz with his post match interview. Some very nice words said about Annan, the guy is a top bloke. 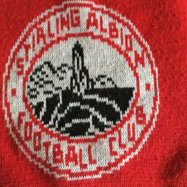 Stirling got a great wee keeper.3 stick on saves in 2nd half before we made the breakthrough. I would say man o the match. Have to agree with that comment, Callumn Ferrie had a great game for us yesterday and has pulled off a number of good saves in various matches that has kept us in games this season, on loan from Dundee and I hope he goes on to better things their. If they did decide to release him, would have him back at Forthbank in a flash. Didn’t go down to the game yesterday but have to say that Ferrie has been my Player of the Season and I’ll be stunned if he doesn’t bag the award. Although he has taken a little bit of stick as the season has gone on, I don’t think Cammy Binnie is a bad Goalkeeper but I do think if we didn’t have Ferrie, we probably wouldn’t have been in the position of 5th. Will the lad play at the top, I’m not sure, it’s so competitive for Goalkeepers and it might just come down to getting the lucky break, but with Dundee looking like they will be playing Championship football next season, he may just be about to get his lucky break as I believe he is good enough to play at that level. Time will tell, but fingers crossed for the lad.